Everyday Fleece Jacket. Helly Hansen has developed a better fleece jacket with the Polartec® Classic 200 fleece construction. The Velocity Fleece has practical double chest pockets for warming hands. The quality rubber zipper pulls are easy to grasp. Make The Velocity Fleece your new fleece - you will not be disappointed. The basic fleece outerwear jacket is a necessary item in every traveler´s baggage. Helly Hansen has added the Polartec® Classic 200 fleece, which makes the Velocity Fleece the ideal, everyday fleece jacket. 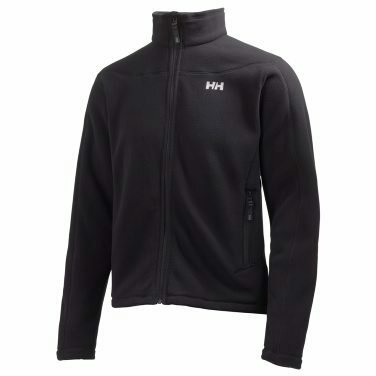 It is also a perfect mid-layer in the Helly Hansen 3-layer system.